Where heritage meets natural homemade interior design, the new homeware accessories are sourced from Bali, the perfect destination for fans of bohemian style and art. 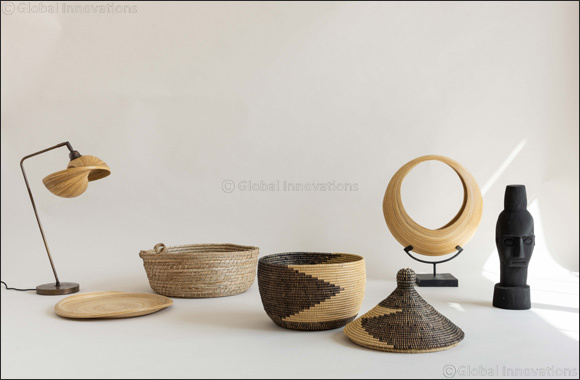 The beautiful hand-made products are made from a combination of natural materials and is designed specifically to have more than one use to ensure the utmost durability. From beautiful lighting, modern consoles and tables to artistic decorations, each item promises an instant refresh to ones' home. This rattan table lamp offers a trendy take on the 70's with its simple yet modern finish. Inspired by the tropical look of the outdoors this will help to your home into a modern retreat. Its intertwined bands softly filter light for a warm, rustic glow.